Carol M. Highsmith/Carol M. Highsmith Archive, Library of Congress, Prints and Photographs Division. The 8th Street beach in Ocean City is a popular spot on summer weekends. If you're a dedicated New Jersey vacationer, you know the rivalries between shore towns just comes with the territory. So, sorry about this Avaloners: Ocean City has been selected New Jersey's favorite overall beach in a statewide popularity poll for the fifth year in a row. Ocean City named 'happiest' coastal town in the U.S. The New Jersey Sea Grant Consortium always announces the winners of the annual contest right before the July Fourth holiday — a prime time to sit on the beach with some good food and family. The contest began back in 2008 to promote a little "healthy competition" among the Jersey Shore towns. Online voters chose Ocean City as both the No. 1 overall destination with Margate in a close second. Ocean City also was named the best Cape May County beach. By the way: Need a shore guide? Check out our guide to all things Ocean City and what to do in every Jersey beach to visit this summer. 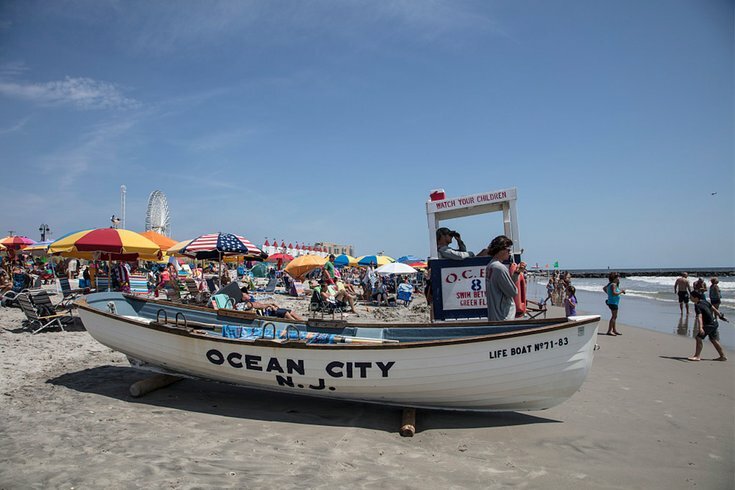 In the other categories, voters chose Seaside Heights as their favorite Ocean County shore and Asbury Park in Monmouth County. The Seaside Heights victory is a bit a shocking, honestly. But Ocean City's doesn't come as a surprise. Many call it "America's Greatest Family Resort" and this is the town's fifth year as the people's choice.